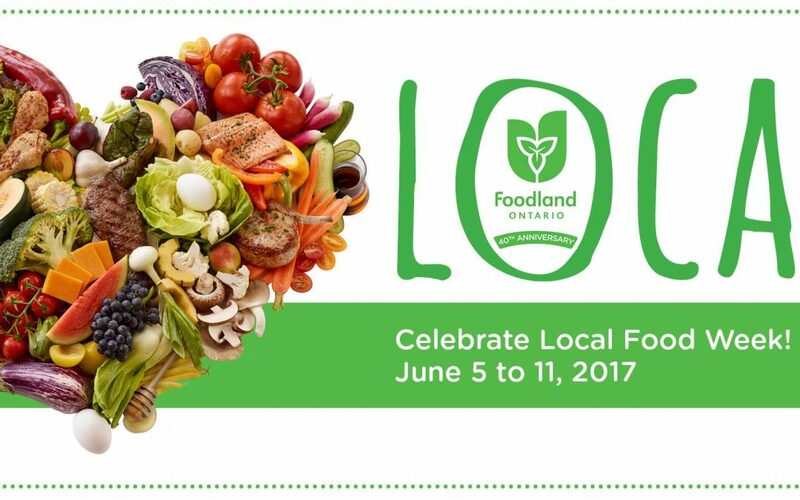 June 5-11 is Local Food Week in Ontario and the Barrie Farmers’ Market is celebrating Local Food Day on June 10. As part of the celebration of local food and the people who make it happen, we’re holding a draw for $300 in market bucks! Collect ballots from every vendor as you shop at the market on June 10 and enter a draw to win one of three prizes with a top prize of $200! The more you shop and the more vendors you spend with, the more chances you get to win. The draw will be made after the market on June 10, with prizes available for pick up on June 17. As part of Local Food Day we’ll also have Growing Georgian, FruitShare Barrie, and the Simcoe County Greenbelt Coalition at the market to share information about local food initiatives and the importance of protecting agricultural land in Simcoe County to ensure the continuation of our local food supply. The Barrie Jazz & Blues Festival is also taking place in early June and the market is very happy to host Aidan Farrell on June 10. Aidan is a multifacted musician, a performer, entertainer, teacher, composer, and truth seeker. A recent graduate of Humber College’s Bachelor of Music program, Aidan is trained in vocal technique and performance, musical composition and production. Specializing in R&B, soul, and jazz, Aidan loves and appreciates all genres of music. Take advantage of local food, plants, and artisan products every Saturday, all year long. The Barrie Farmers’ Market keeps bringing fresh local goodness to Mulcaster Street all the way through October. Stop in between 8 a.m. and 12 p.m. and meet your local farmers, producers, chefs, bakers, and artisans, then wander downtown to take in the waterfront. See you Saturday!